/20 foot container: 11,448 Pcs Qty. /40 foot container: 27,648 Pcs G.W. 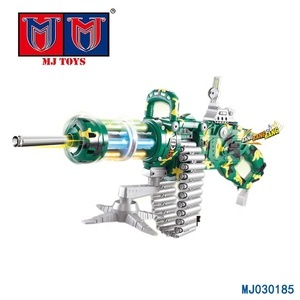 To start sourcing our RC toys and gadgets, contact us today. And we supply sample orders, if you are interested in our toys, we can send you some samples. Our G oal: Provide the newest product, better quality, reasonable price, perfect service and after service. We highly appreciate your any enquiry by email, by telephone, by fax, or by Instant message, and welocme to visit our Please contact us at any time if there is any question. 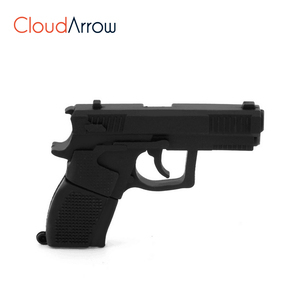 Product features: --- IP 64 ruggedized design, better dust-/wafer-proof capability and 1.2m drop survival --- 1D barcode reading capability integrated with hand-held computer, easy to carry and hold with a Pistol Grip --- Integrated Symbol SE955 linear 1D Scanner (Laser type), max 104 times/second, max 73.6cm --- Integrated WiFi communications and optional GPRS/Bluetooth communication allow easy transfer of data to a host computer --- Windows CE 6.0 OS integrated with our Chainway APPcenter/C_Emulator(keyboard assistant) provides friendly operation --- VB. NET,C# and C++ programming environment with free SDK are easily for Secondary Software Development --- 3.5" QVGA backlight TFT-LCD Touch Screen, Touch input and QWERT keyboard input provide multiple ways to input data --- Large capacity battery (Total 8400 mAh capacity) enable a long working time --- LED light built-in the Pistol Grip can offer the light in the dark environment --- Optional Camera to capture photo and GPS for Position tracking Model: C3000-O Handheld 1D Barcode Scanner with Pistol Grip Picture Description Support 1D barcode scanning,Built-in WiFi module, optional GPRS/Bluetooth/GPS/Camera Rugged structure with IP64 rating, better dust-/wafer-proof capability. 240 x 320 (QVGA size), LED backlight Touch panel: Glass analog resistive touch and transmissive type, Battery: Rechargeable li-ion polymer battery (3.7 V/3,200 mAh)+ Pistol battery (5,200 mAh) Expansion slots: SIM/PSAM/Micro SD (TF) card, Indicator: LED, Audio: 0.5 watt, Keyboard: QWERT(41 silica gel buttons and 3 side buttons) Input method: Touch input and keyboard input Environmental Environmental sealing: IP64 Operating temperature: -10 &deg;C ~ 50 &deg;C , Storage temperature: -40 &deg;C ~ 70 &deg;C , Humidity: 5% RH ~ 95% RH (non-condensing) Operating system WinCE 6.0 Programming environment VB. 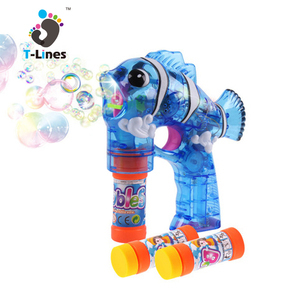 Wholesale B/O Dinosaur Flashing Lights Music Bubble Gun Toys for kids Item No. BXB00471 Description Solid color dinosaur painting with music three lights flash single bottles of bubble gun Product Size(cm) 0x0x0 CM Product Packing Size(cm) 0x0x0 CM Packing Flashboard Quantity/Carton 60 PCS Carton CBM 0.169 Carton CU. Price is always the competitive one. --- Ruggedized design, better dust-/wafer-proof capability --- Freescale 800MHz CPU+256MB RAM/4GB iNAND FLASH --- 3.5" QVGA backlight TFT-LCD Touch Screen, Touch input and QWERT keyboard input provide multiple ways to input data --- Integrated WiFi/Bluetooth communications and optional GPRS communication allow easy transfer of data to a host computer --- Windows CE 6.0 OS integrated with our Chainway APPcenter/C_Emulator(keyboard assistant) provides friendly operation --- VB. NET,C# and C++ programming environment with free SDK are easily for Secondary Software Development --- Integrated Symbol SE955 linear 1D Scanner, max 104 times/second, max 73.6cm --- Optional Camera (5.0 mega pixels,automatic focus) to capture photo --- Optional GPS for Position tracking --- Support integrated Fingerprint or RFID reader to make the Multi-Reader a powerful tool for users in the various fields Industrial-Class for main device body, 1.2m drop test main for device body CPU: Freescale i. NET,C# and C++ programming using Microsoft Visual Studio 2005&2008.Software Development Kits (SDK) provided Symbol SE955 linear 1D Scanner (Laser type), max 104 times/second, max 73.6cm 1D Barcode Types: UPC/EAN, Code128, Code39 ,Code93 ,Code11, Interleaved 2 of 5, Discrete 2 of 5, Chinese 2 of 5, Codabar, MSI, RSS WiFi: muRata IEEE802.11 b/g Bluetooth: 5-10M AC adapter: Input:100-240V/50-60Hz Output:5.0V/2.0A Net size: 153*75*29mm/330g, Packing Size:262*208*65mm/1.5Kg Optional GPRS/Camera/GPS/PSAM support ( Need add option cost ) 5*8 hours online support+Engineer Technical support. 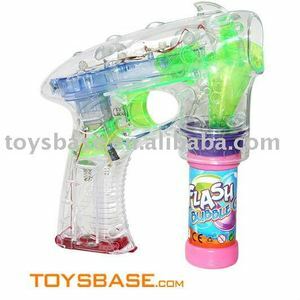 Alibaba.com offers 116 b o flash gun products. About 21% of these are toy guns. A wide variety of b o flash gun options are available to you, such as abs, pp, and ps. You can also choose from paid samples. 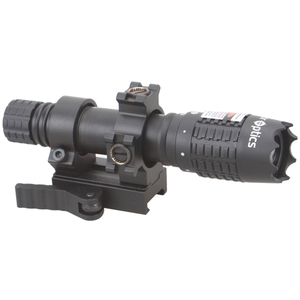 There are 37 b o flash gun suppliers, mainly located in Asia. The top supplying country is China (Mainland), which supply 100% of b o flash gun respectively. B o flash gun products are most popular in Western Europe, South America, and Eastern Europe.